The story I am going to tell on this blog is not just about my 7-day trip to India – it’s more than that. …to the author of a four-page article in a respected daily newspaper, in just a year. It’s the story of how I found myself ‘pushing the boundaries’ …against all the odds … never giving up. Here you will gain some insight into my writing career. And here you will start to see how I grab every opportunity that materialises in front of me…and still do. In the post you will read how I wrote about a fishmonger – it turned out to be a life-changing article for me. But what you won’t read is how on a winter morning, three months before the article was published, I walked into our village to ask the fishmonger who was serving in his shop if I could write about him. Minutes after speaking to him I stepped out of the shop, walked across the car park, crossed over the A246 Leatherhead Road and immediately saw two Buddhist monks standing outside the local supermarket. They were begging for food. Being nosey I asked what they were doing! Tenzin Josh (left of picture) explained it is customary for monks to beg for food when they are away from their monasteries. “The act of giving to a Buddhist monk is beneficial on three counts: the person who gives feels good; the monk gets to eat; and any left-over food is given away to the needy”. I learnt a lot about Buddhism that morning and how meditation, which takes up a lot of a monk’s life, does not necessarily mean sitting on the floor cross legged with your eyes closed – you can meditate lying down, standing up or sitting in a chair. 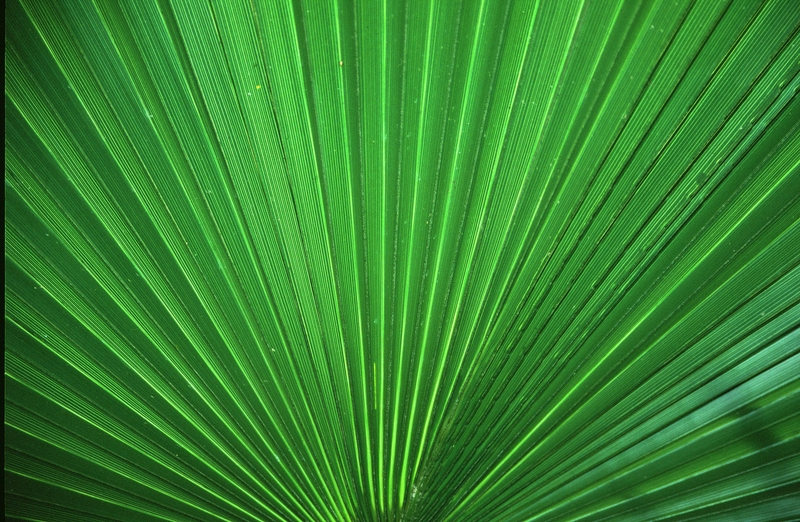 Being conscious of everything you do – walking, eating and talking can be good meditations. Tenzin Josh and Tenzin Gendun thanked me for my interest and hoped they had put a ‘comma’ in my day to pause, ponder and reflect. 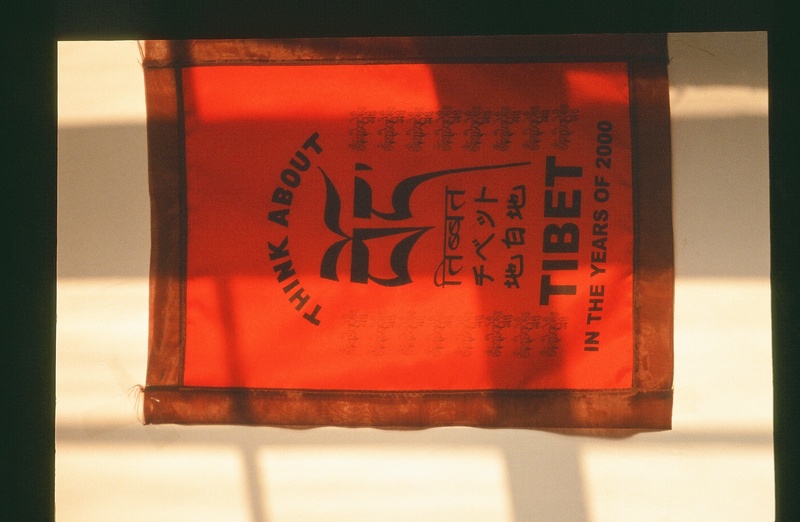 Before we parted company Tenzin Josh said that if ever I was in India to call on him in Dharamsala which is in the foothills of the Himalayas. I thought a trip to India was most unlikely. 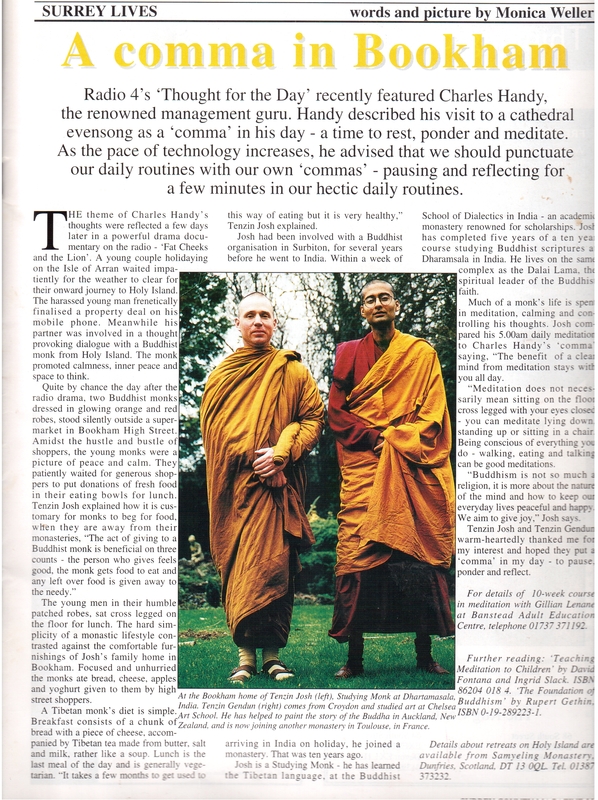 A story I wrote about my meeting with the Buddhist monks was published in the April 2000 edition of the Surrey County magazine. Please feel free to ask me questions as I take you on my journey. PS: Some call it fate, to some it’s synchronicity, others say it’s serendipity, but as I stepped out of the fishmonger’s shop that winter morning, I had no idea that my simple article about fish would lead me directly to the story about Ruth Ellis, the last woman to be hanged in the UK. My new book, Every Great Journey Starts Somewhere, is a collection of photographs I took in India during a seven-day visit, accompanied by quotes, captions, and notes I made in my journal. You have probably heard the word ‘serendipity’…this wonderful flying-visit to India really did happen as a result of a fortunate series of chance meetings between 2000 and 2001. it was a time when my life was going through a period of great change and I had just embarked on a new career as a freelance writer. 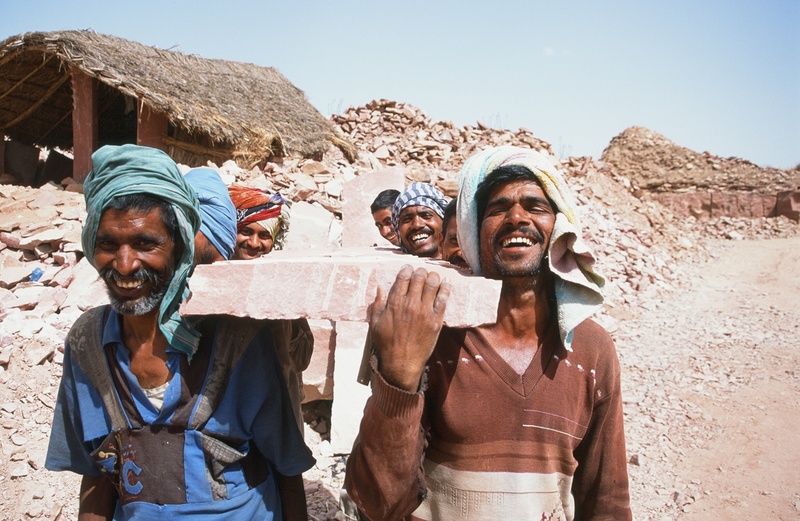 My book is a picture story of how a Buddhist monk, a stone merchant and a businessman all led, in their own ways, to my trip, and how I discovered a sense of adventure I never knew I had. Every Great Journey Starts Somewhere will delight all who love India or have visions of travelling there, are fascinated by unheard-of places and tribal outposts, and will inspire anyone to go with the flow of events. When opportunities arise, no matter what, grasp them with both hands…as I did. On this blog I will share some photographs taken in Rajasthan, and Dharamsala in the foothills of the Himalayas, and excerpts from my articles that were published on my return to England after the trip.